A little while ago I was given the opportunity to review a phone case by Mr Nutcase. They offer a variety of custom phone cases and there really is something suitable for everyone. It was perfect timing for me as my current case is completely falling apart. There are a few options you can chose from for many different makes of phones. I have a white IPhone 5C and I chose the flip style cover as it protects my screen. But I will warn you, if you chose to order one of these cases be prepared to spend hours trawling through all of the hundreds of photos you have amassed since you started having kids. You’ll then get all teary eyed at all of the memories and end up writing a blog post about just that! Or maybe that was just me? My lovely new case. What do you think? Uploading your photos is easy. Once you have gone through the options of make and model etc. you can then choose from around 19 different layouts for your photos before you come to the page where you can upload them, change background colour and add any text or clipart. I didn’t use these last three options so cannot comment on those. 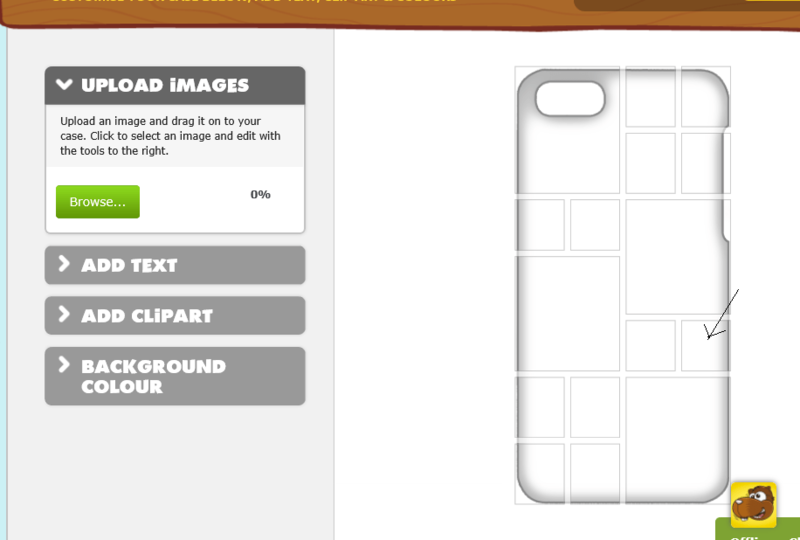 Your photos will appear on the left and all you do is drag them across to each of the squares where you can edit to make them fit. The only minor issue I had was with one little square that I marked below. After a few failed attempts I started over and added the photo I wanted in that square first and everything went swimmingly after that. This may just have been an issue with my touchscreen laptop though and not the website. Being as they have to print onto the case I was expecting to have to wait a few days and was really impressed that the phone arrived within 48 hours. You really can’t beat that for service on a custom item can you! O also thinks it is great, he’s always laughing at photographs so has taken to stealing my phone if I’ve left it somewhere in his reach. The case has really held up to him dragging it around for a few days, there isn’t a scratch on it and my phone has been well protected. What do you think of the new case? 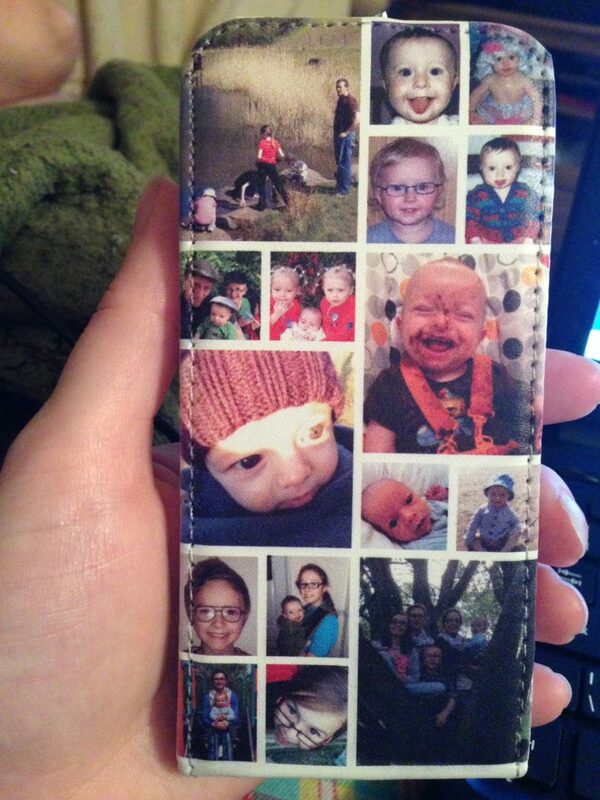 Would you like to have some of your photos on the outside of your phone instead of hidden inside?